… where they’ve lived in the same habitat together for 13 years. The two cats were distraught and cried for the bear’s return when he was at the vet’s. Since then no one has separated the group. I love to travel and do things that are different from the ordinary, so when I saw an article written by Bill Newcott, on some of the bridges around America and Canada it had my attention. I am about to embark on a trip from Texas to Alaska on my Harley with some friends and may have a chance to see some of these bridges on my travels. I think any one of these bridges would be interesting as most of them have been standing for over 100 years. A compliment to the builders and designers I would say. 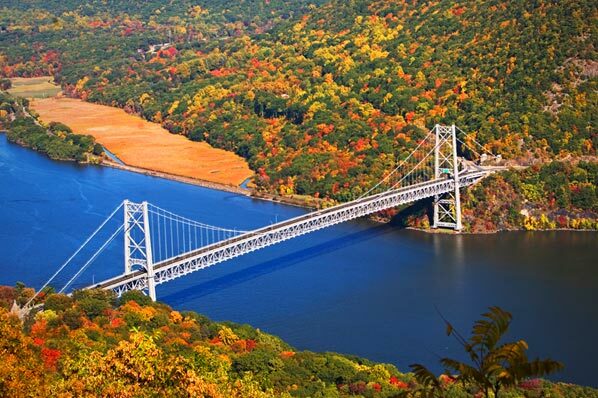 This bridge is surrounded by mountains and on the narrowest spot of the Hudson River. The span includes pedestrian walkways on both sides of the bridge. Cyclists are welcome on the roadway or may walk their cycles on the pedestrian walkway. You can drive to the top of Bear Mountain for a fantastic view of the Manhattan area. It is free to go over this bridge. 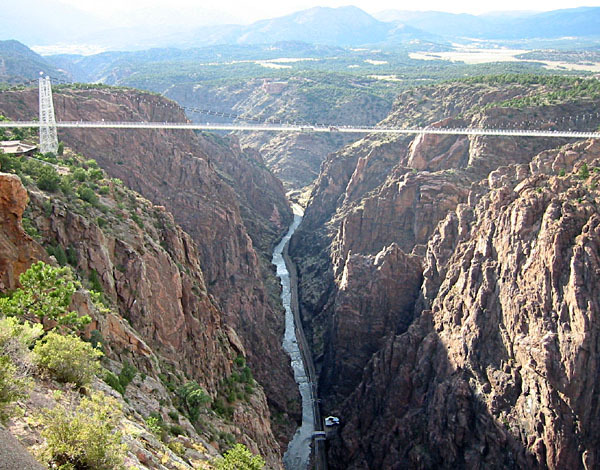 This bridge is in Canon City, Colorado. You can walk this wooden planked bridge, which apparently is a wild experience. It is 1053 feet above the Arkansas River. Construction on one of the world’s highest suspension bridge began June 5, 1929, and completed Nov. 1929 There is a theme park adjacent to this bridge and a railway takes you to the river below. The Cost is $26 to the Park, bridge and railway. This bridge is at Twin Falls, Idaho. 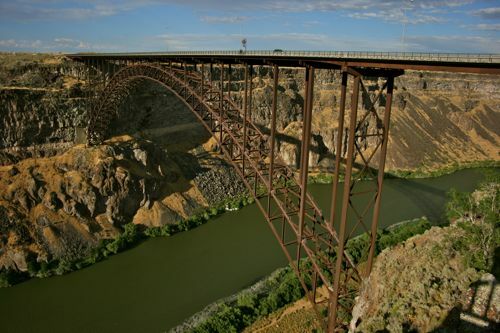 It is a steel bridge that is Perrine Bridge is approximately 1,500 feet (457 m) long, 486 feet above the snake river. The bridge serves as the Twin Falls area’s main link to Jerome County and Interstate 84. The Perrine bridge is the only bridge in the United States where BASF jumping (parachuting from fixed object) is allowed all year without a permit. This bridge in West Virginia, is 1,010 foot long-span. Railroad tycoon Henry Flagler laid pilings for the only roadway to Key West 100 years ago. In 1982 the old bridge was replaced by a new one just to its south. This bridge is in Vancouver, British Columbia. 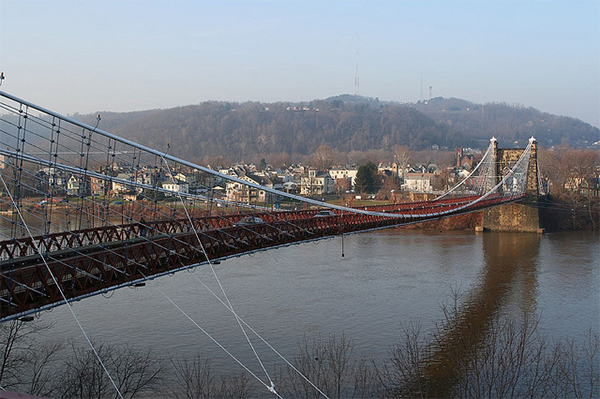 This bridge is a swinging rope bridge. 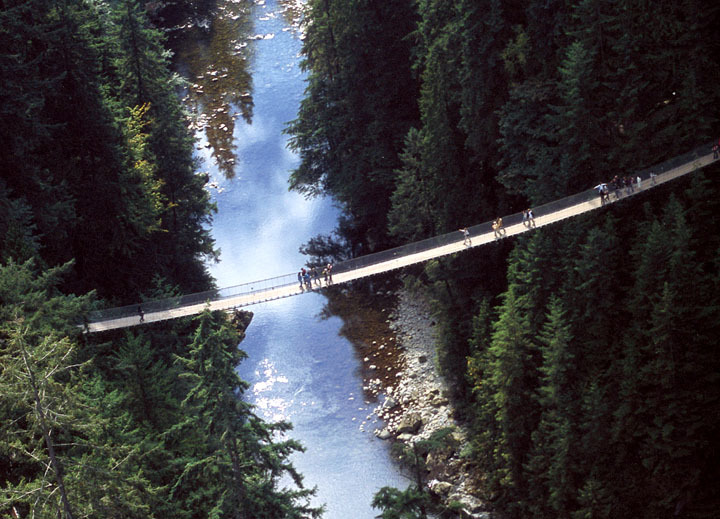 It swings or rather sways 230 feet above the rushing Capilano River. 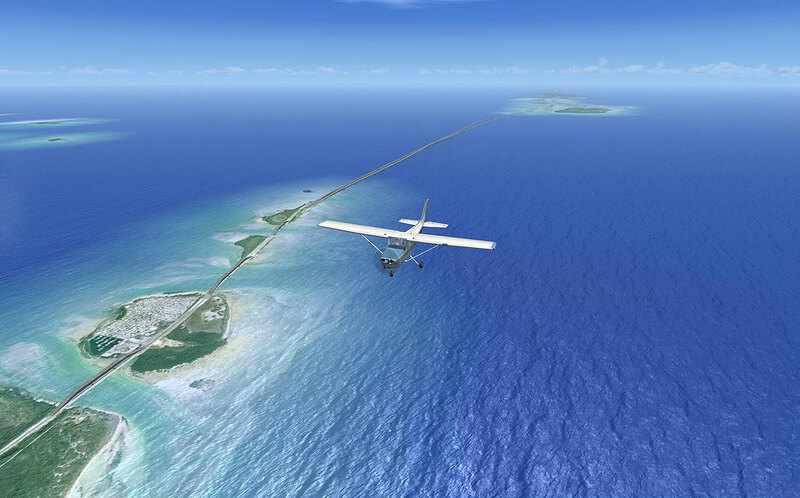 It was originally built in 1889 and stretches 450 feet across. There is also a heart-stopping cliff side journey takes you through rainforest vegetation on a series of unobtrusive cantilevered and suspended walkways jutting out from the granite cliff face above Capilano River to previously unexplored areas of the park. Not for the faint of heart, it is high and narrow and, in some sections, glass (very strong glass) is all that separates guests from the canyon far below. In the same park there is a venture from one magnificent Douglas fir-tree to another on a series of elevated suspension bridges, some reaching as high as 100 feet (30m) above the forest floor. Guided nature tours and the Kids’ Rainforest Explorer program are some of the Vancouver activities that enhance this unique rainforest encounter. Recognized for extraordinary innovation with national and provincial tourism and engineering awards, a walk on Treetops Adventure has emerged as one of Vancouver’s quintessential activities. All park attractions are included in the price of admission! I think Mama Bear was getting a little frustrated with baby bear. Double click on picture to get a bigger image.